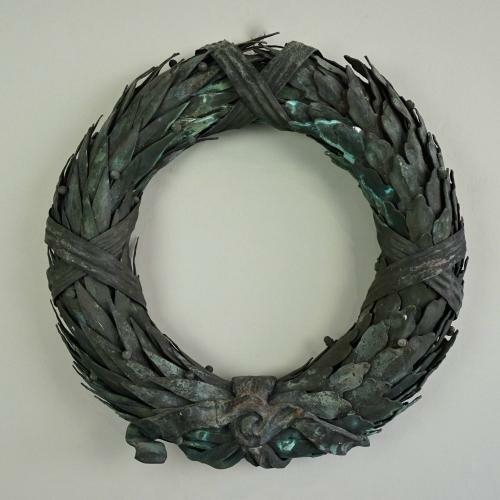 A magnificent late 19th century artisan made circular wreath made up of hundreds of individual decorative brass leaves bound with ribbon motifs. The brass has taken on a beautiful antique verdigris patina over time and when hung from the wall, this unique piece makes for a dramatic wall sculpture. French circa 1890.